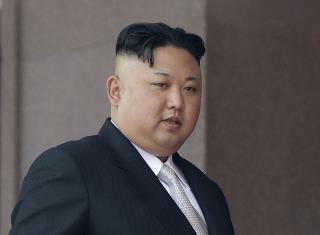 (Newser) – Millions of Americans have something in common with Kim Jong Un: He, too, appears to be self-conscious about his body—specifically, his ears. North Korea has strangely taken to photoshopping its leader's ears, which a pair of non-proliferation experts picked up on, reports Motherboard. While North Korea's habit of editing photos is well-known, Dave Schmerler of the James Martin Center for Nonproliferation Studies and Jeffrey Lewis of the Middlebury Institute of International Studies at Monterey say they've noticed several photos in which editing specifically targets Kim's ears. As Lewis puts it, "He doesn't like his ears, or so it seems." I thought it was a puffer fish.